Dr. Hansen is a University of Virginia graduate and has been practicing in the Charlottesville area for the past 12 years. She enjoys working up complicated internal medicine cases and has a passion for rescue. 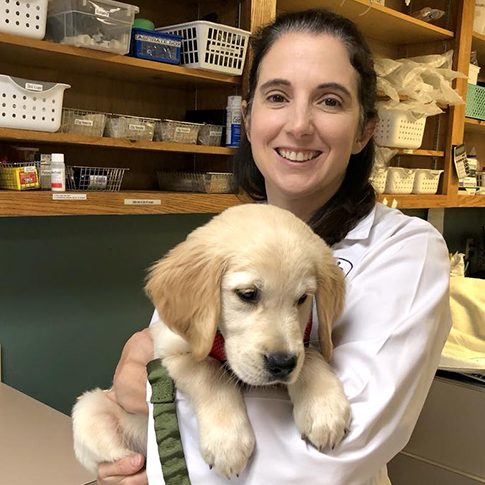 Dr. Hansen and Dr. Kramer actually met almost 20 years ago when they worked as assistants at a veterinary hospital in Annandale, and they are thrilled to be working together again! Dr. Hansen is the supervising veterinarian at Shenandoah Valley Animal Services Center, and is also a fitness instructor at ACAC. When she is not at the veterinary hospital, Dr. Hansen enjoys spending time with her two sons, 3 dogs, and 2 cats.